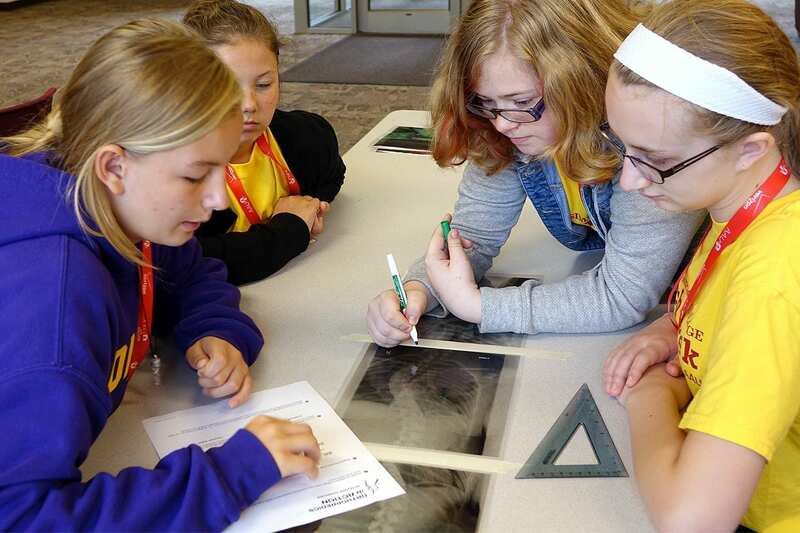 DMU partnered with Tech Trek to make science cool for girls. 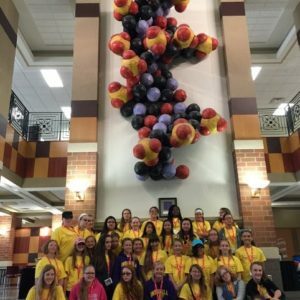 This summer, the Simpson College branch of Tech Trek, an experiential summer camp backed by research and designed to make science, technology, engineering and mathematics (STEM) exciting and accessible to girls in middle school, asked DMU to host a morning of STEM-focused activities. 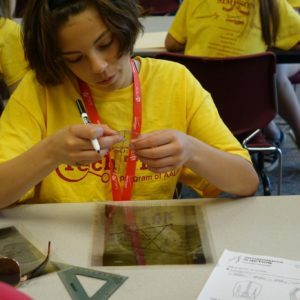 Through hands-on problem solving and encounters with women role models, Tech Trek seeks to engage students at the age when research shows girls’ participation in STEM fields drops. Participants are high-achievers who are nominated by their schools to apply. 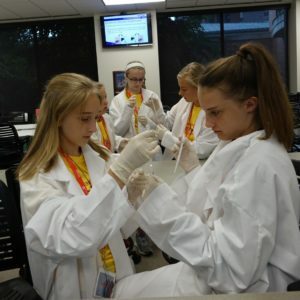 Exposing girls to successful role models and giving them hands-on opportunities to learn and discover are proven ways to draw them into STEM fields. 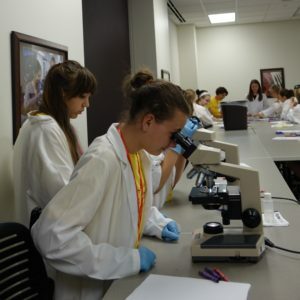 DMU role models from the master of science in biomedical sciences program, including faculty members Suzanne Bohlson, Ph.D., and Sarah Clayton, Ph.D., and research assistant Holly Hulsebus, M.P.H., took students through activities that explored the transmission of infectious disease, lung capacity and gram staining. 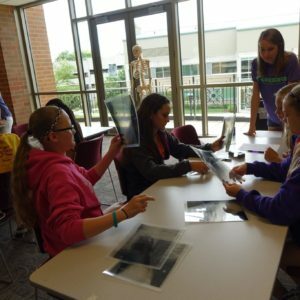 Participants also worked with volunteers Brynn Ehlers, D.O.’18, and Abby Frederickson, D.O.’18, on a scoliosis diagnosis activity that required teams to find Cobb angle measurements on patient x-rays and determine the proper course of treatment.